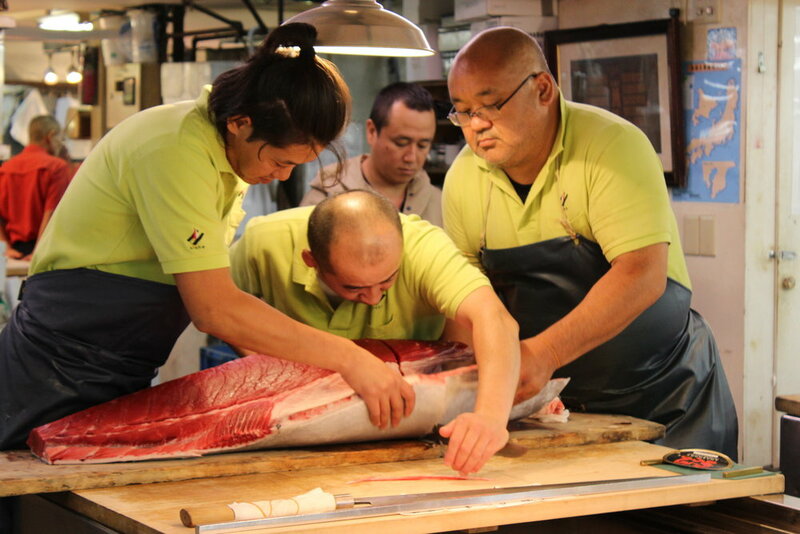 Cutting huge pieces of fresh hon-maguro is not for the faint of heart. It requires three skilled Tsukiji fishmongers, a very sharp and insanely long oroshi knife known as a Maguro bōchō, and a whole lot of focus. Pictured Below is Toichiro Iida of House of Hicho, a well-known and highly regarded tuna nakaoroshi gyosha (intermediate wholesaler) that has been in business since 1861, along with two assistants.